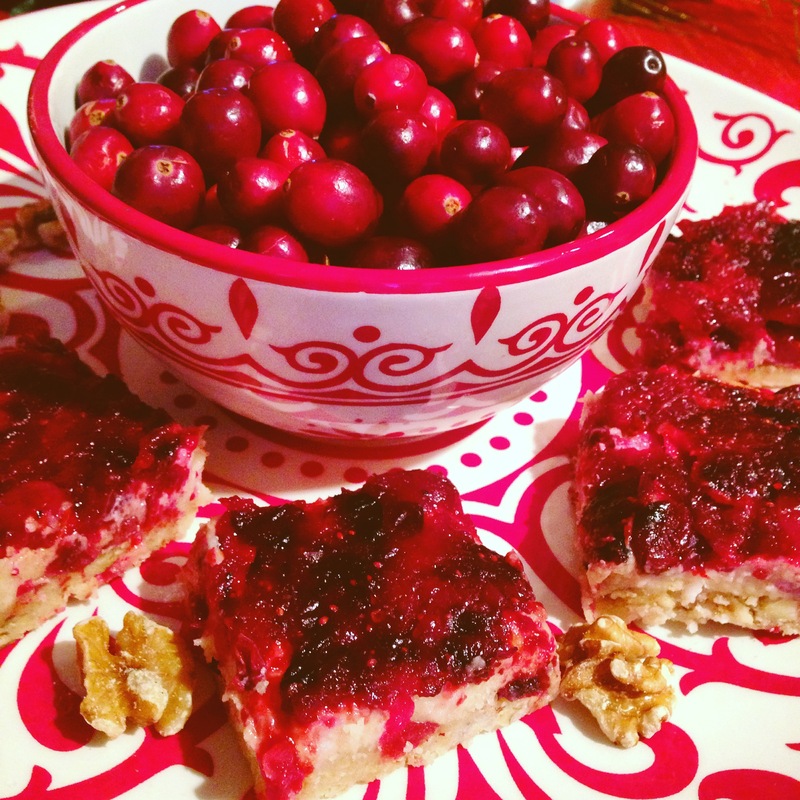 These bars are the perfect way to use up those cranberries you bought but don’t know what to do with. Let’s be honest, it can get tricky finding uses for these tart little berries. This is why I’m plopping a cran recipe on the blog today, and combining it with orange for a magical result. This elegant dessert is raising the bar for holiday baking. Move ova cheesecake, ’cause these taste cheesecake-y but are markedly healthier than actual cheesecake. Actually, nothing in these decadent bars is bad for you! (Pssssst, this dessert has antioxidant and vitamin-C rich cranberries, omega-3 rich nuts and anti-bacterial coconut oil – hip hip hurray!). Yummo! Put all ingredients for the cookie base in a food processor and pat down into an 8 by 8 inch square pan, lined with parchment paper. Place in the fridge to harden while you prepare the next layer. Mix all ingredients for the cashew cream cheese in a food processor and spread over cookie layer. Off to the fridge it goes! 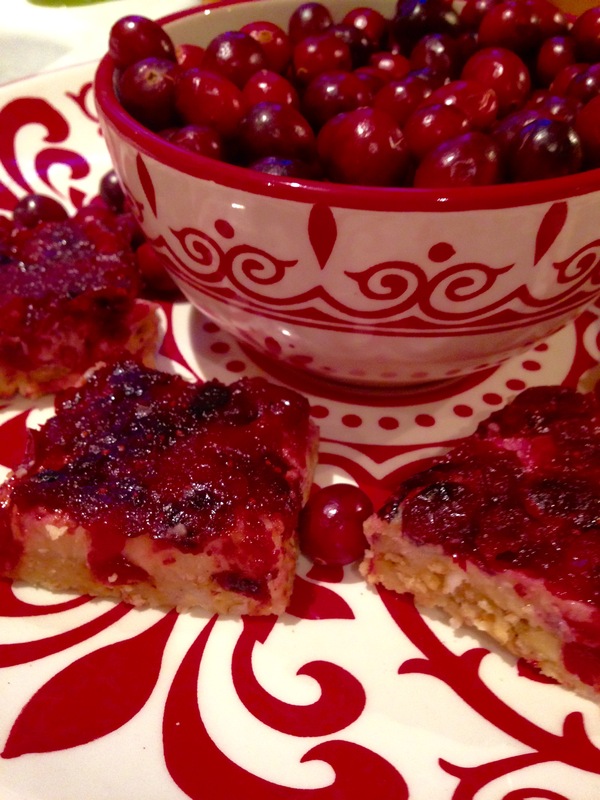 In a pan, heat all ingredients for the top cranberry layer and gently spread over cheesy layer. Back to the fridge it goes! Allow to cool in the fridge for at least a couple of hours (ideally overnight). 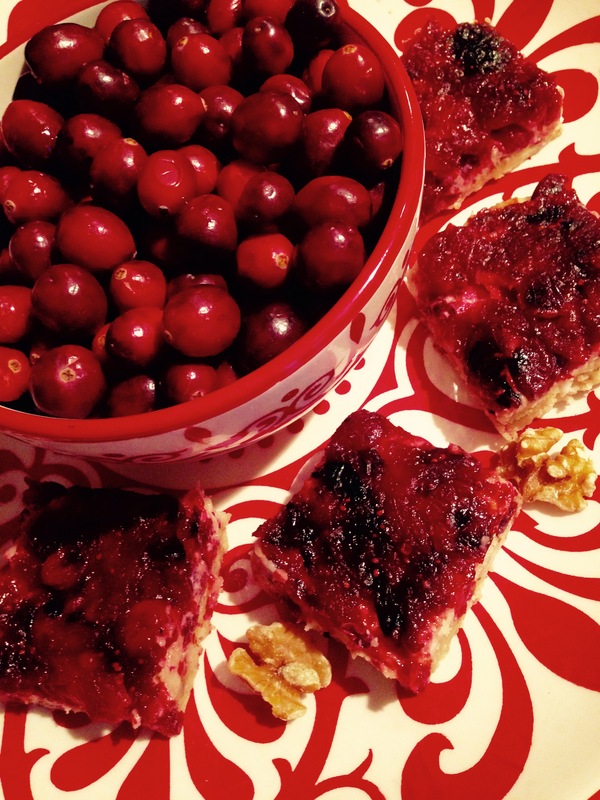 Cut into 16 squares and share!